Let a and b be the generators of $\pi_1$ $(S^1 \vee S^1)$ corresponding to the two $S^1$ summands. Draw a picture of the covering space of $S^1 \vee S^1$ corresponding to the normal subgroup generated by $a^2$, $b^2$, and $(ab)^4$, and prove that this covering space is indeed the correct one. 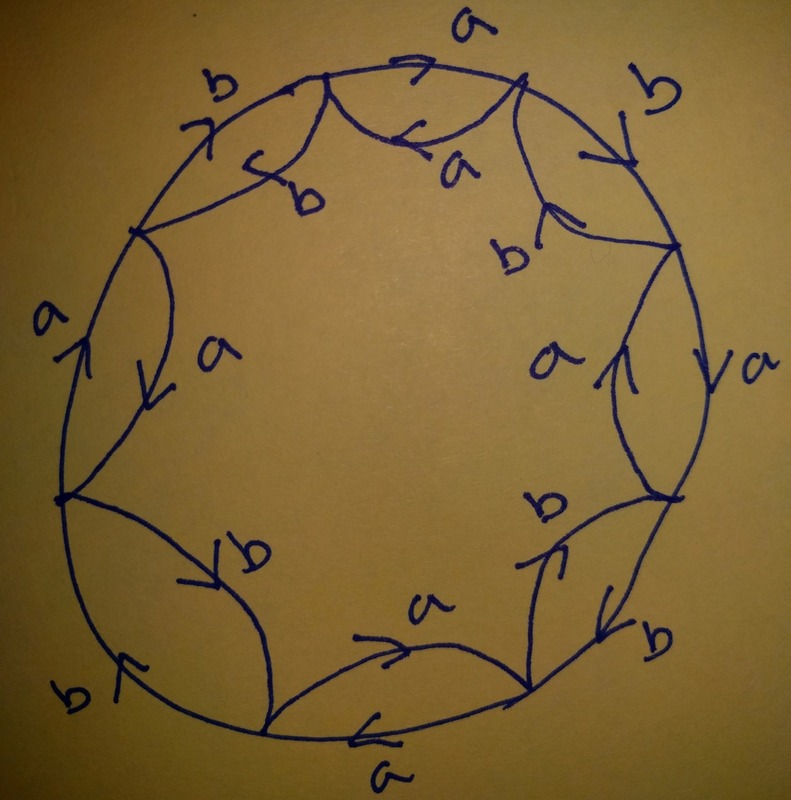 I know the standard way to do this is constructing an octagon, like so, but I was wondering if there are other ways or more interesting ways to do it. Browse other questions tagged general-topology algebraic-topology covering-spaces or ask your own question. what is the covering space of figure eight which is corresponding to commutator subgroup. Covering space of $S^1 \vee S^1$ corresponding to subgroup of $\pi_1(S^1 \vee S^1)$ generated by cubes of all elements? How to check if a cover is normal given the action on a fiber.